With IGC Management you're "In Good Company" at Ashley Oaks. This community is like no other with resort-style landscaping, immediate response maintenance, and a genuinely caring staff! We offer 1 & 2 bedroom spacious apartment homes. We also offer a loft floor plan, the favorite plan of most visitors to our community! No need to live in black and white at Ashley Oaks. We offer a custom accent wall in all our apartment homes, at no charge! Stop in and pick out your custom color today! 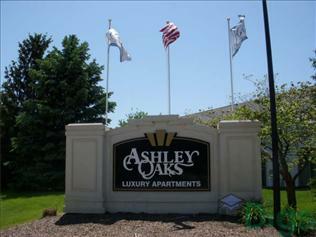 This page contains information about Ashley Oaks and it's rental listings. All details have been provided by Ashley Oaks.